Voice over Internet Protocol or VoIP for short, has continued to grow in popularity, so much that even broadband service providers are now adopting the technology as part of their products. VoIP in simple terms, is a telephone that operates over the internet, as opposed to a traditional copper loop. The voice is digitized and the data is transmitted through the web. Many “free” VoIP apps exist, Skype being the most recognizable one, at least as far as North America is concerned. Many others exist such as; Google Talk, Apple FaceTime, Vonage, or Europe’s favorite – Viber. They all share similar capabilities, being that you can make calls from one user to another for free, just as long as the call is being completed on the same VoIP app on both ends, such as two Skype users making a call to one another. When calling landline or mobile numbers from the offline world, local calls usually remain free, while credits need to be purchased for long distance numbers. All of these apps include chat capabilities, allowing you to text message your contacts, share files, pictures and links, but VoIP software is not to be confused with chat apps such as WhatsApp, which only allow for instant messaging, but no phone capabilities. They almost always provide a desktop and mobile app, as many users benefit of cost savings making calls on mobile using VoIP. Why use a VPN with VoIP? There’s more than one good reason to start securing your VoIP voice calls with VPN encryption, but for many, Skype and other similar services are completely blocked in their country. Using a proxy is usually enough to unblock the service, but completely falls short at providing any type of security, or anonymity for the user. If you happen to travel a lot, a VPN service becomes indispensable. Let’s have a look at Skype, and how open and vulnerable their users are. For almost two years now, it has become public information that Skype messages and calls are recorded, and to make things worse, anyone that has your username can instantly sniff out your IP and track your whereabouts with a proximity of a block or so. But there’s more, using a VPN in conjunction with voice over IP allows you to change your country and IP to almost any location, instantly unlocking free local calls to landlines and mobiles, instantly providing you more value than the cost of the VPN service. And to make things better, utilizing a solid VPN provider with fast servers can actually improve VoIP service quality! Most people believe that VPNs always mean slower speeds and bottlenecks, but that’s not accurate. VPN encryption used on VoIP can improve due to how UDP VoIP packets are encapsulated, and sometimes due to shorter network paths. If no improvement is gained, it’s very unlikely that it will ever make it worse either. Access to global country IPs unlock local offline calls. Using good VPN services can improve VoIP call quality. Sometimes, you can run into problems placing audio or video calls after connecting to a virtual private network server. This can be caused by a variety of reasons. 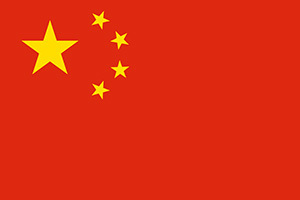 Such as the connection protocol used. The best option is always OpenVPN over UDP for seamless streaming. If the connection protocol is set to TCP only, calls can suffer from delay and frequent drops. Firewalls can also be responsible for blocking certain VoIP functions over VPN connections. Below are some general guidelines and tips for troubleshooting issues on Skype, Viber, or similar services. Always use the following protocol unless unavailable: OpenVPN over UDP.OpenVPN over UDP will give the best performance and speed for Voice-over-IP applications. Some VPN clients will automatically switch between TCP and UDP – always choosing the optimal protocol for a given application, but make sure that your connection is configured this way. For more information, read TCP vs UDP. Pick a server location with a short distance from the call location for good speeds.Choosing a server location can be a hit or miss at times. If you are suffering from slow speeds, try alternating between close proximity servers to your own location, or the location of the other party, in order to identify a server with fast speeds. It is also possible that some providers only allow VoIP traffic on certain servers, and blocking it on others. Ensure you have enough bandwidth for Voice-over-IP calls.Generally, most users don’t need much bandwidth to complete voice or video calls over Skype or Viber. Basic voice calls require no more than 50kbps up and down, but high quality video and screen sharing calls can surpass 1.5Mbps requirements for download and upload. Most broadband connections provide these required minimum speeds, however, it is important that you don’t have computers or programs open that are hogging the bandwidth at the same time as you make your call. Software Updates – Basic Troubleshooting.In case of call problems, ensuring that your app is updated to the latest available version. 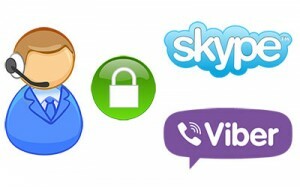 Another important step to take is to start Skype or any VoIP app after having connected to a VPN. At a minimum, you should try to restart the app after connecting to a server. If all else fails, test a call without a VPN to ensure that the problem is actually related to the VPN before blindly troubleshooting further. After some extensive testing, one of my favorite services for Skype to shine through was ExpressVPN. Unlike some providers such as PureVPN, there are no limitations to which servers can be used for VoIP calls. Pretty much any server selected will work, and the service offers one of the widest global coverage available, with servers located in over 140 cities across more than 90 countries. Speed loss is very often negligible, which is helpful for low bandwidth connections. A 30-day refund period is offered as well, allowing you to test before committing. Speed and server locations are both important factors when choosing a VPN service for VoIP, and VyprVPN delivers on both ends and then some. With 60+ countries over 5 continents, the travelers and international callers are well covered to use the service just about anywhere. With an impressive tier-1 highly secure and feature rich network of over 700 servers, you will never lack speed either. 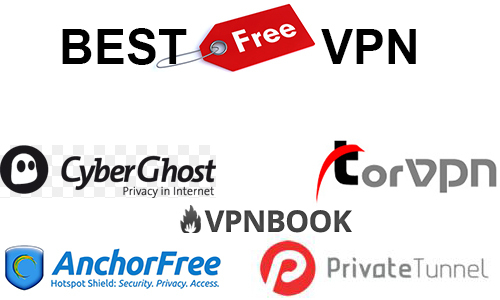 VyprVPN also has some of the best software around for the most popular platforms; iOS, Android, Windows, Mac OSX. The fast speeds and unblocking technology implemented by Surfshark make this provider an excellent solution to access VoIP services from anywhere. With Surfshark, you will be able to enjoy stable communications and keep all the traffic secure, thanks to the high standard of encryption used. Surfshark also offers features that protect you from malware, annoying ads and anything that could spoil your browsing experience. No logs are kept of your online activities. Private Internet Access makes a perfect budget choice for VPN with VoIP combination. They don’t cover as many countries as their top competitors, but offer double the servers to compensate, and continually add more as their user base grows, ensuring speed, security and privacy to their loyal PIA subscribers. With over 2000+ servers, it’s never too hard to find a low load server with good ping times for your location, but they have a smaller coverage of 25 countries; US, Canada, UK, Switzerland, Netherlands, Sweden, France, Germany, Romania, Hong Kong and Israel, Australia and Japan to name a few. These key locations are often enough for most users, and PIA includes NAT firewall, Wi-Fi and hacking protection at no extra cost. The service is straight forward with no extra options, and the yearly package comes at the most competitive price, with up to 5 simultaneous connections. CyberGhost also protects your communications with strong encryption and it offers access to a wide range of secure servers across the world. You can enjoy a high level of protection and freedom to bypass restrictions. This affordable provider is focused on helping users to defeat restrictions and to keep their privacy protected. CyberGhost will help you to enjoy Skype and other VoIP services from any location. It is a no logs provider.